"Toshiko is a truly international women of exceptional taste and style. She knows London better than most Londoners." "Toshiko is an image consultant and it shows. I was delighted by her amazing sense of dress and wanted to rip her suit from her back and take it home. It was so gorgeous. She obviously has a real feel for design and image." I found Talking Image through a google search, the website was informative and services easy to understand. My initial enquiry was answered quickly and the approach friendly and helpful right from the start. Sorting out dates, arrangements and payment was straightforward. The Image Consultancy felt relaxed but maximum benefit was achieved within the time slot, focussing on my aspirations and how to look my best. The Wardrobe Review shortly afterwards was equally beneficial. Toshiko has a lovely encouraging manner, imparting much useful information. I now have a plan both to use my current clothes and accessories more effectively and also for shopping to plug the gaps in my wardrobe, which I now approach with confidence and enthusiasm instead of dread ! Thank you Toshiko, your great reputation is well deserved. Thanks for selecting such lovely clothes for me. Not only were they practical but they were unique. I look forward to wearing them. They feel so nice. Hey, Toshiko, Greetings from Saudi Arabia. It was my absolute pleasure spending time with you. I still talk about our session, even a few hours ago to my mom and sisters. I carefully read the profile report and I will absolutely follow your advice. Thank you for the session today, we learned a lot. We realised that it is important to brush up our knowledge from time to time. My husband particularly found it most helpful to learn the history of manners and some of the colloquial British English. We will review what we learned today and make it our own. Thank you for a really enjoyable time. We look forward to learning more in the near future. Marvellous and fantastic! I can go on with so many more superlatives to describe my image consultation experience with lovely Toshiko. I feel so much more confident . I would never have felt like this if it were not for the consultation. I would strongly recommend the periodic review as well. It enabled me to take stock of where I am in my life, renew my commitment to my personal goals and gain updated advice about fashion. I can't wait to go shopping! Thank you Toshiko! I can't thank you enough! I enjoyed learning all the different ways of doing table manners and remembering them. I liked everything! I learned that you could remember which side is your bread and drinks by using your hands. I learned everything I could possibly learn - you were a great teacher! This course is really valuable, considering how rare it is to have the opportunity to learn from a professional who is so familiar with the contemporary British manners, as she lives it herself. I took this course in preparation of the Royal Ascot I was to attend in June. I didn’t want to feel embarrassed, particularly being amongst the people from the upper class. Because I studied the full module, which covered details of the British dress code, table manners to social manners and even some tips on colloquial British English, thankfully, I was not worried at all and felt completely confident. Particularly, simple things like “Which side is your bread plate placed?” or “The English way of having soup”, I thought I knew but didn’t, so I’m glad I learned from Toshiko all the practical and helpful tips. Some of the benefits of the online course include Toshiko’s voice and the way she spoke, which was easy to listen to. The images that were used made it easy to understand and to visualise too. It’s a video so we can repeat or stop as we please, which helped to further my understanding. If you learn it once, it is something that will come in handy and will last you a lifetime, so I would strongly recommend that you take this course, particularly if you are planning to go to the UK even for a visit. If you take this online course, you will be looked up to as someone “cool” and even amongst the British ladies and gentlemen, you will feel at ease and will be treated with dignity. I had a wonderful experience. I believe there are various national events held around the world. In the United States, there is the Super Bowl, Indy 500 and NCAA basketball. In Japan, there are traditional festivals across the country, from Gion festival to high school baseball. This Royal Ascot is definitely one of the events nationally celebrated in the UK, and we literally enjoyed it in the utmost luxurious way; at the Royal Enclosure. This Royal Ascot Package offered me this rare opportunity. Whatever class, people graciously betted on the horses. They did not bet for the money but rather to compete who had the sharpest eye in predicting the winner. At the end of the day, everybody gathered around the bandstand and sang as one. We were there, shoulder to shoulder, all united. Whether you already love Britain or you’re not yet familiar with this country, I’m sure it will be a fabulous opportunity for you to fall in love with this country even more. I really thank this opportunity for a fantastic experience. Thank you for a lovely day on Saturday.Thanks to your expertise and knowledge I now have jeans and skirt with waistbands in the right place that show off my shape and don't create bulges, and boots with beautiful womanly heels that don't make my toes feel as though they are in a vice - and not even wide fit! How do you do this? It's like magic. Apart from all this you were lovely company and it was an experience far removed from the agony of clothes shopping alone. But you were right - I was exhausted when I got home! Very professional and good-humoured colour analysis in which I have great faith. I found the workshop really helpful. I have been colour analysed before but felt this really went with my own instincts and helped to affirm what suits me. It all really made sense. Thank you for your time, perseverance and patience! I just wanted to thank you for my recent personal shopping experience with you. It’s made me see clothes in a completely new way and has transformed how I will shop for clothes in　the future. You helped me to understand how the clothes I wear are a projection of my personality. With your guidance I’ve been able to define my own unique style signature, bringing to life　the classic style that I always knew was hidden away inside. The confidence I’ve gained has led to a renewed self-assurance in other areas of my life too. I appreciated the way you guided me through the process with real sensitivity - your depth of knowledge is incredible. You encouraged me to try new looks that I might not have considered before and introduced me to brands that suit my shape and style. It was great to learn the science behind why certain colours and styles suit different people. It was particularly refreshing to know that you had my best interests at heart - before this process I’d become increasingly frustrated when shopping for clothes only to be met with pushy retailers, only interested in making a sale. Not only was the experience eye-opening and enjoyable but it has also helped me to save money as I no longer buy things on　impulse that then linger unworn in my wardrobe. I know that this experience is just the start of a continued journey of self-discovery as I get to know myself better through my own unique image and identity. I’d recommend your service to anyone who is ever unsure about what to wear, or wants to define their own distinct style and gain the confidence that comes from looking great"
Leaving aside my summer clothes, I took my jackets, trousers and skirts for alteration after our session. Then after putting them all back into my wardrobe, I was only left with clothes that really suited me so I feel refreshed. Thanks very much. I will buy new hangers and organise my accessories after the weekend. I must readjust my lingerie size too. I’m looking forward to our personal shopping in February. I am now clear what I need to get, so all I have to do is review my budget. What I realised after our session was that you not only help me with my present image, but also with an image in mind that would make it possible for me to achieve my long-term life goal. I’m looking forward to working with you soon. Yes, I must note down how I see myself in five-year’s time. During the course, Toshiko took the time to train me one-to-one to allow me to acquire the essential skills to become an image consultant, and I am absolutely thrilled with what the training had to offer. Due to time restraints with my current job, I decided to take the foundation training course combing Skype. Toshiko tailored made the course so that it would fit in with my schedule. Because she ran the course to suit my pace, all my questions were answered, worries have disappeared and I feel confident with the skills that I now have. Not only was the contents fulfilling, I enjoyed every single day of training with Toshiko thanks to her warm personality. She made sure that good communication was in place, and by discussing ideas and ways to run business, she also gave me various advice on career planning. I’m very thankful for the support that she has given me. I had visited other training providers before deciding to train with Talking Image. I am so pleased that I took the image consultancy training course with Toshiko. Thank you so much. I went on the Image Consultant's Foundation course having had some knowledge of Image and styling previously, so was unsure of how much more I'd learn. I am very pleased to say that I learnt so much more and that the course exceeded my expectation! 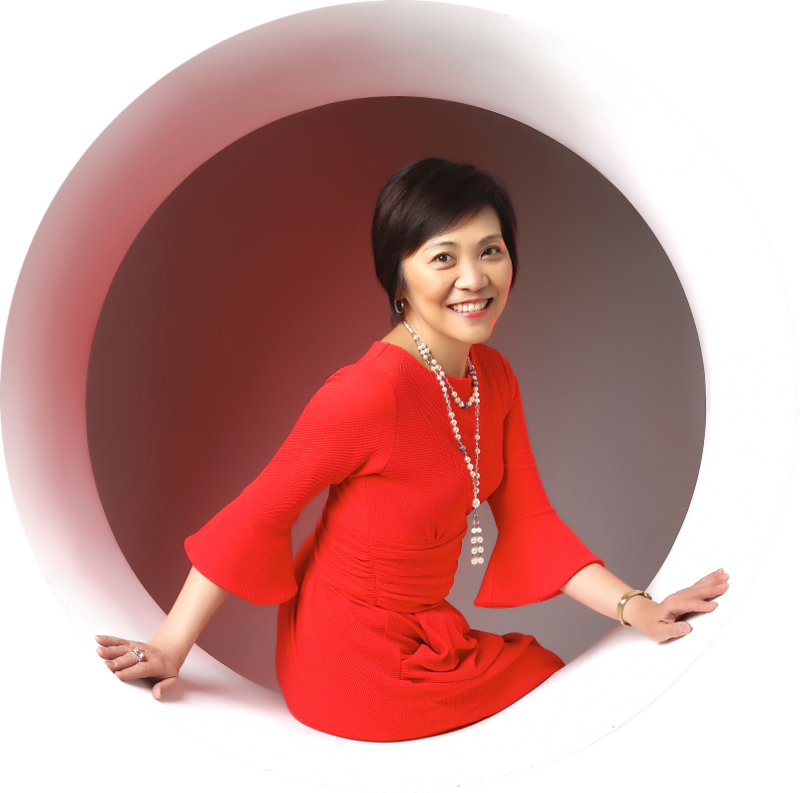 Toshiko is very knowledgeable about her subjects and I'll happily recommend Talking Image to anyone who wishes to receive training in Image Consultancy! The workshops were fun and filled with information. It was great because Toshiko asked us questions and we were able to freely ask questions too. I thought I knew about manners but realised that there were many things I wasn’t sure about and didn’t feel confident. I’m glad that everything is clear now. I definitely feel every ‘adult’ should attend these kinds of workshops. I learned a lot, from English to Japanese manners! It was time worth spent because I am now aware about manners that I wasn’t sure about or hadn’t even considered. Being able to speak with Toshiko was like a God-sent present. I will take on board all the things that I learned from Toshiko. I’m interested in my personal image too so do let me know when you next visit Tokyo. I look forward to seeing you. I would definitely like to book a wardrobe planning session with you next year. I will ensure I stick to my plans and manage my budget. The personal shopping that I did with you last year helped me greatly. As a result of the shopping experience, based on my objective, needs and taste, I have been wearing every single clothes that I purchased, even down to the little top. They have turned into my wardrobe that works, which, to be honest, I am surprised about. Through personal shopping, not only have these clothes become essential to my current life, by reviewing the wardrobe, it gives me the opportunity to think about my future career. I look forward to seeing you next time. Thanks Toshiko. Yesterday was indeed a great experience. My dear Toshiko, thanks a million for your kind help. You inspired me to take a number of steps including visiting the lingerie shop that you recommended!! The fitting was excellent and I realized I was wearing the wrong size for the last 15 years : ( Thanks a miliion again and I really hope that we keep in touch. Lots of love. Toshiko, thank you for spending the whole day with us on Saturday. We really enjoyed it! After the consultation, I could not but notice people's fashion and bone structures LOL! Straight away, my mother bought the lilac eyeshadow. Now that I know that I have the Marilyn Monroe bone structure, things started to make sense. I used to try to fit into thin, straight-cut clothes, believing it was the ideal body shape, but I wasn't convinced. Now I can see why they didn't work. I still need to work on understanding more in depth about colours, but with the new colour swatch and trying out different colours, I will eventually get to grips with it. Thank you for letting me take the image consultation with my daughter. Normally, I am not really style-conscious, so my daughter suggested that it would be a good opportunity to come see you. It was definitely a fun experience. Though I had not paid attention to colours, after you have advised which colours would suit me and which won't, you have helped open my eyes. After being asked what I like about myself, I realised that I had not taken any notice about my faults. This doesn't mean I'm perfect. I had not paid attention to things that I won't be able to get even if I wished for it, so I had not worried much. However, from that day on, something in me now tells me that things must change . My daughter will most probably comment about my clothes and make up even more than before. It was great that we were able to take the consultation together. Toshiko! Thank you so much for my profile report. I've read the report and it is excellent - tells me so much what I did not know about myself and helps me think clearly about where I want to be 5 years down the line. I very much enjoyed our time together and hope that we can perhaps go and do some shopping together as well. I wanted to let you know that I bought my wedding dress. I'm thinking of having my hair loosely tied and light make-up. I'd love to hear of your suggestions if any come to your mind when you see the dress. We're back in England in a few months so will definitely drop you an email then. My dream (to have an image consultation) came true after three years and I really enjoyed the consultation. I also received my profile report, thank you. I shall refer to it when I go shopping. I look forward to seeing you again. Hi Toshiko, I received the trousers yesterday and look forward to getting my hands on the other items. I think we really achieved a lot with the purchases. In the past I've often come home feeling like I haven't really got value for money and that I've spent a lot for quite a little. And while on this occassion I spent far more than I have ever done previously in one day, I definitely feel I have in every case made valuable additions to my wardrobe - thank you. I have already devised a strategy for approaching my next four shopping days and will get in touch when I am ready to go for round two. Toshiko, Thank you for sending through the report earlier in the week, I found the whole experience extremely useful and look forward to putting it into use on my next shopping trip. It was also good to meet you last Sunday. Thank you again. Thank you so much Shopping Goddess! I could easily do it once a week! Thanks for the very interesting session today. I think I learnt quite a lot from you, which I am definitely going to try to put into practice. I am pleased to confirm that my wife had a fantastic time. She found your support and assistance invaluable, and was very pleased with what she purchased. My wife looks fantastic in her new clothes; I am a very lucky man. You have clearly been very successful in what you specifically selected for her and how you managed to challenge her comfort zone. Many, many thanks for what you have done - I firmly believe that my wife now walks a foot taller! Dear Toshiko, Just a quick note to say thank you so much for your advice and help on our shopping trip last week. I feel it was very successful - and as my husband has already emailed, he is very pleased too! I hope I can use your advice to its fullest from now on. With warm wishes and heartfelt thanks. Thank you very much for such an amazing day - I had loads of fun and really enjoyed the session. It has been immensely helpful to me to understand the geometry aspects of my body line and face shape and the colour analysis has already been hugely beneficial to me, I have had several colleagues compliment me on my make up and tops during the past two days. The session really boosted my confidence and your warm, kind and very knowledgeable approach to the session made my day. It has been a real pleasure meeting you, no doubt I will be in touch in the future again. Toshiko, many thanks for your help today. I ended up achieving much more than I expected and that was entirely due to your help and advice. I'm sure that I'll get great use out of all my purchases. The rest of my journey went very smoothly with my items waiting for me at Liberty's and then a taxi to LHR. I think I'll sleep well tonight! Dear Toshiko, Thank you for my image profile. This is most useful. I found your consultation to be most informative and useful too and the fact that you have a City background made the consultation even more apposite. Thank you and I look forward to meeting you again later this year. Toshiko, thank you so much for your input into our admin rep day yesterday. I felt that your presentation gave just the right end to the day and certainly gave some food for thought. I'm definitely going to look through my wardrobe at the weekend and send some of the older items to the charity shop. I hope you enjoyed the session and felt that you got the right response from people. Hi Toshiko, thank you very much, it was lovely meeting you. I had a lovely stay in England, thank you. And there was a result! After having spent a bit of time in the food hall...(of course) I managed to drag myself up to higher floor levels and got on with some shopping. It was easier and I could do it with more confidence which helped a lot. Guess what - I even bought a high neck PINK-ish/purple-ish jumper!!! Next step is to actually wear it but I WILL! I also bought some chunky necklaces and earrings from the jewellery shop you recommended - what a great shop! Thank you so much for all your advice! Thank you I enjoyed my time with you very much. You won't believe but as I turned out of your road, I saw a purple cardigan/jacket in a shop window with a scalloped edge. I stopped the car, went in and purchased. It looks very nice on and matches one of the swatches. My image consultation and wardrobe planning gave me the clarity on my style that I could have done with decades ago! How much money I could have saved, how much more wardrobe fun I could have had. Toshiko's analysis has helped me view my body and wardrobe afresh and the new investment in me has been invigorating and exciting. I had a day shopping with Toshiko to consolidate my learning and locate retail outlets to suit me best and it fulfilled the brief and more because I discovered amazing clothes that I would not have previously tried on. This whole process has been great fun and a bit magical, I really did not know I could look this good! Toshiko is charming and I have had the best time. Hi Toshiko, thank you for today. Love the clothes and so does my partner. He also really likes the white shirt from that boutique. Dresses and trousers have gone down really well. Thank you so much. You picked great clothes. Loved the clothes that I bought with you. Got a lot of compliments. Toshiko, thank you very much for all your help and support during my Foundation Course in Image Consultancy. I feel very privileged I got the opportunity to train with you. Your lovely personality and professionalism made it really pleasant and interesting. You are an excellent teacher and mentor. Thank you so much! You enthused me with your skill and professionalism and have given me the energy to cross the threshold of my dream. I really enjoyed the 10 days in your company and gained enormously. I am so glad that I chose to come to you. Really enjoyed the three days with you-I was pleased to discover that there was alot more to 'colour' than one might think. Your training was thorough and clear with good course notes and plenty of practise! I was very impressed with the amount of models used as this proved invaluable to the training. Overall, I feel confident that my new colour analysis skills will be a very good addition to my business offering and hopefully clients will feel the same! Many thanks for your report - it's a valuable tool to have, very helpful to give things some focus and direction. Thanks also for the contacts re hairstyle and tailoring... I am meeting up with someone from the shirtmakers tomorrow when I'm in London as it happens, and I've made an appointment with the tailor. I'd like to have made a copy of that light green jacket and the black striped zipper jacket which I brought along to you - except measured properly for my size. Thanks for sending the profile report. It's great. I will keep on reading it over my life. Thanks again for the experience. I am very pleased with my wardrobe additions. I am now just working out how to integrate them into my existing wardrobe, but doing okay so far. Do drop me an email in Aug/Sept, so we can plan a autumn/winter shop. Many thanks for both coming today. It was wonderful and truly uplifting as well as being very valuable! Thank you for being a fantastic teacher and you are just fabulous! I have been enjoying my new clothes and have received a lot of compliments...especially on the shearling jacket. I definitely feel much more in touch with fashion now! Thank you for your help. My sister and I had a great time with you on that Friday. We really enjoyed it. We only went to Yo Sushi afterwards at Harvey Nics and then bought some make-up there too. Didn't have the energy to go clothes shopping but I have bought myself a couple of "deep-muted" coloured clothes in Jigsaw recently. I also chose my wedding dress today which I am really pleased with. Thanks again and we hope to be back in the future. I really enjoyed our time together and found the experience very useful. I would at some point like to arrange a shopping trip with you but I may leave it until the New Year after I return from Australia. My wardrobe by then will be in dire need of replacing for the springs/summer. Be in touch. I would like to thank you so much for the great time that my friend had in London and for all the perfect organisation. My friends here were also very, very enthusiastic and happy. Thanks alot. I will keep you in my records for anything else we might require. She bought beautiful things... very very nice... especially the one from the Japanese designer. I love it too! I thoroughly enjoyed the training course! Toshiko is a very knowledgeable and gifted image consultant. She is also warm, friendly and sincere in wanting her trainees to succeed in practicing image consultancy. I learned a lot and feel confident that I can begin practicing, having required a good grounding in image consultancy. I recommend the course without my reservations, and indeed have already made recommendations to two people. I was overwhelmed when my friend said to me, "You're looking gorgeous and very chic these days!" This is thanks to the image consultation that I had with Toshiko. I am a 72 year old grandmother, but I'd like to look and feel beautiful in my own way. Thank you so much.